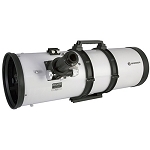 Built as a basic yet powerful entry-level optic, the Explore Scientific FirstLight 130mm f/4.6 Alt-Az Newtonian Telescope is a portable observation platform that can make detailed observations of the Moon and planets, with the capability of reaching out to see brighter deep-sky subjects. 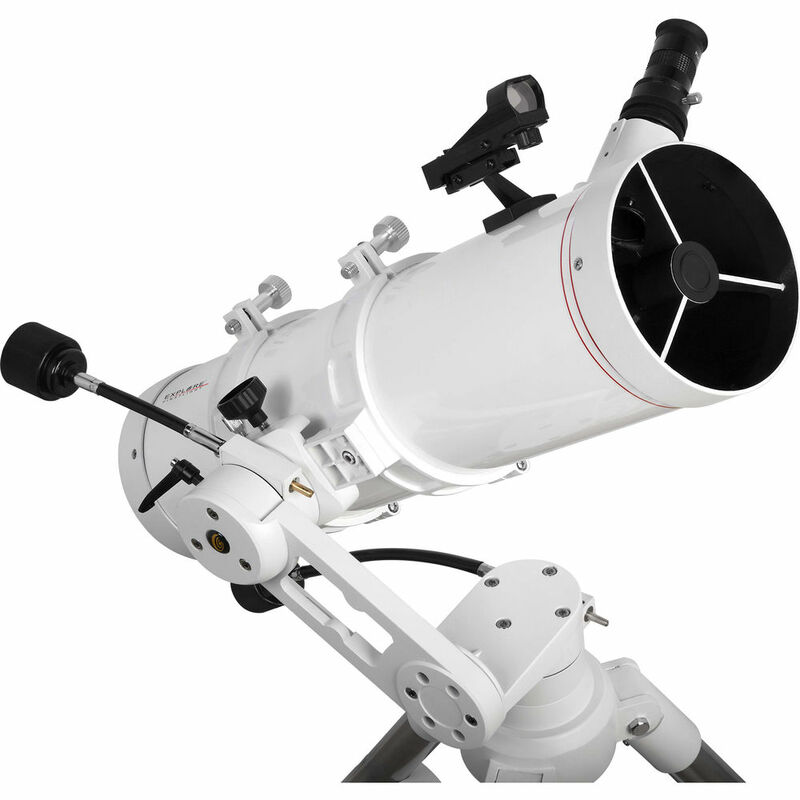 Its Newtonian reflector design has a rack-and-pinion focuser placed at the front of the optical tube, and adjustable mounting rings that allow users to place their eyepiece in the optimum position for viewing. 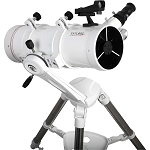 The scope features the manual Twilight I alt-azimuth mount with dual-axis control cables that allow users to track objects as they move across the night sky. 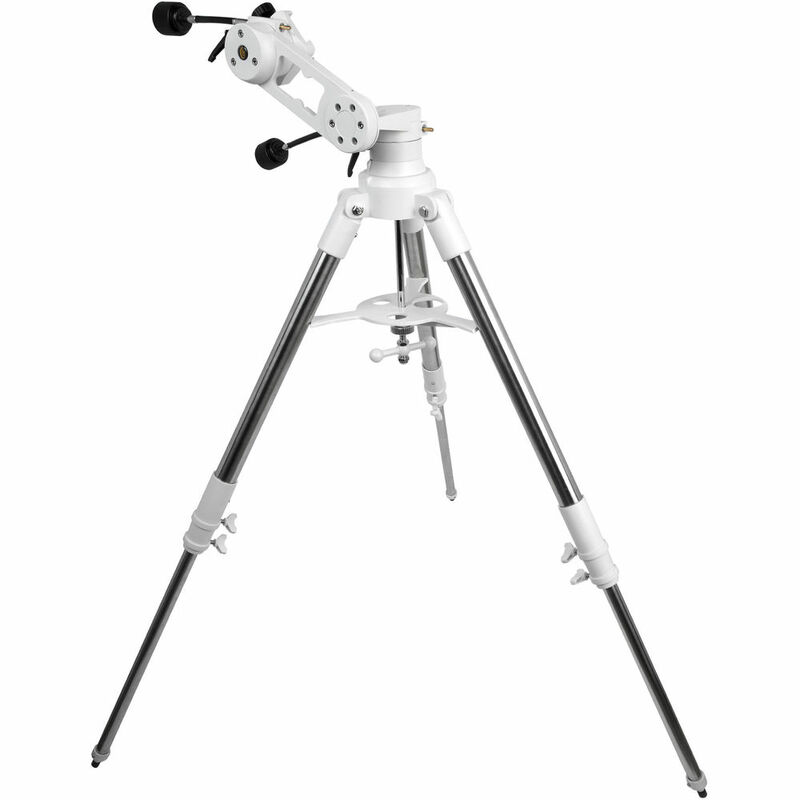 Its stainless steel tripod provides a stable observation platform, and its adjustable height from 38.5 to 55.5" allows for comfortable viewing by most users. 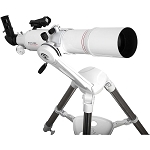 Explore Scientific includes several observational accessories including a 25mm eyepiece that yields 24x, a universal smartphone eyepiece adapter for easy astrophotography, and a wide-field unmagnified red-dot finderscope to make finding subjects fast and star-hopping easy. 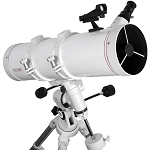 Aperture 130 mm / 5.1"